Founded in the late 1800s, this small, South Shore town was at one point renowned for its multitude of bars and its penchant for revelry and was surprisingly the most bustling town on Kaua`i. Today, the small and quiet town is dominated by local art galleries, selling paintings, photography, jewelry, housewares, and other unique and local art. Meaning "crushed bay" in Hawaiian, Hanapepe serves as a sort of bohemian locale on the west side where the general theme is local and mellow. Although it's a wonderful break when headed far west, Hanapepe is also a must visit location no matter where you're staying on the island. 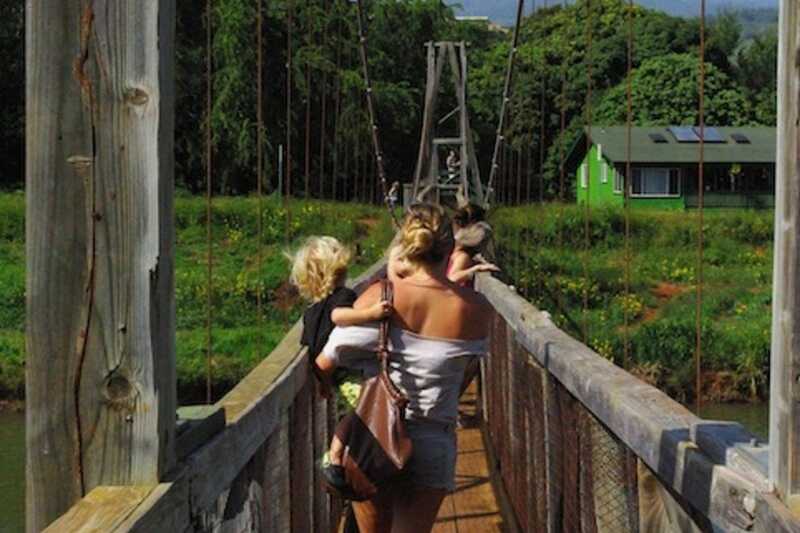 The Hanapepe Swinging Bridge is the only real "thing to see" in the small town. Located in the center of town on the inland side of the road, the wooden bridge crosses the Hanapepe River, and offers a place to stand still and enjoy the peace and quiet. The bridge was a replacement for the old bridge that was torn away during the hurricane of 1992 and there isn't a charge to check it out. Children often get excited by the noticeable shaking of the bridge as visitors pass over. This intimate establishment in small-town Hanapepe doesn't stand on formalities. It will, however, regale you with delightful vegetarian and Italian cuisine that's been recognized by critics from New York to California. Top-quality local produce is transformed into such succulent dishes that you'll never miss the meat. Try eggplant parmesan, which benefits from the signature marinara, or sample a grilled vegetable charlotte or perhaps the decadent four-cheese lasagna. Live slack-key guitar music plays in the background at dinner; breakfast and lunch shouldn't be missed either. Hanapepe is a true art town. The small historic town, which surprisingly once served as the most bustling town on the Garden Island, is filled mostly with art galleries selling locally made art and locally crafted jewelry and housewares. Each and every Friday from 6 to 9 p.m. the west side town opens its doors to invite the public - both visitors and locals alike - to enjoy a night of socializing and entertainment in the name of art and creativity. Music can usually be found somewhere along the strip of art shops, as well as appetizers, chatting with new friends, and buying and window shopping of art. Dress up or go casual, either way art night is not to be missed while visiting Kaua`i. Beautiful, quaint, historic plantation homes make up the sprawling plantation resort on the west side. This place is great, and quite unique. Small plantation homes, from one to five bedrooms with small porches, full kitchens, and claw foot bathtubs make for a private and pretty place to stay. Many back yards have mango trees loaded with fruit in season, and all have barbecue facilities. The acreage sprawls out to the ocean, where a long grayish black sand beach sprawls for miles, but isn't good for swimming. Yet it is one of the best places to catch a vibrant west side sunset. There's an eatery and local micro brewery on site, where you'll find great beer and Pacific Rim cuisine. Live music plays at the restaurant several nights a week, and it's a great good place to relax, enjoy a meal, and take in Hawaiian music in a very tropical atmosphere. This is a great hotel for everyone from honeymooners to families. There's even a spa on site. Simply put, Hanapepe is an art town. The quaint historic town has become home to numerous artists over the decades, who now sell their creations - most made right in or near Hanapepe - in a large variety of artist owned galleries. 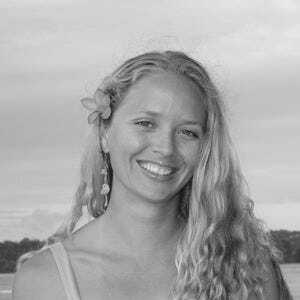 Maybe it's the peace and quiet of the area, or inspiration from Kaua`i's natural beauty, but a large number of galleries make up the vast majority of shops in the town. The art spans most mediums: photography, paintings, jewelery, home decor, clothing, the list goes on. You'll find it all in Hanapepe.